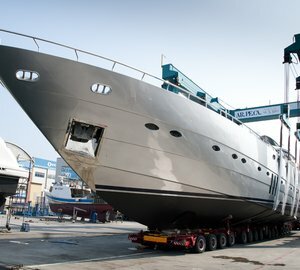 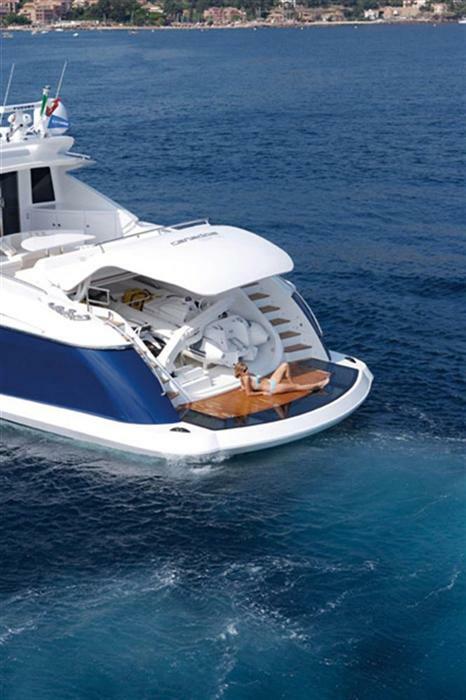 FUNKY TOWNY is a CANADOS Open 90 superyacht of 28m (91' 10") in length which was launched in 2009. 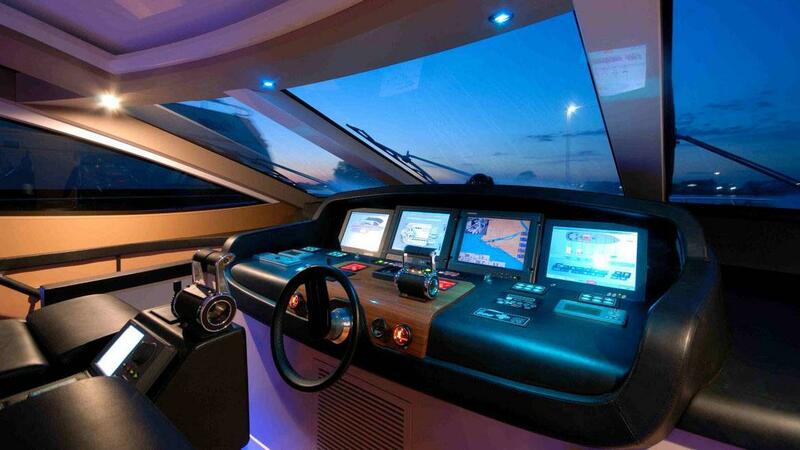 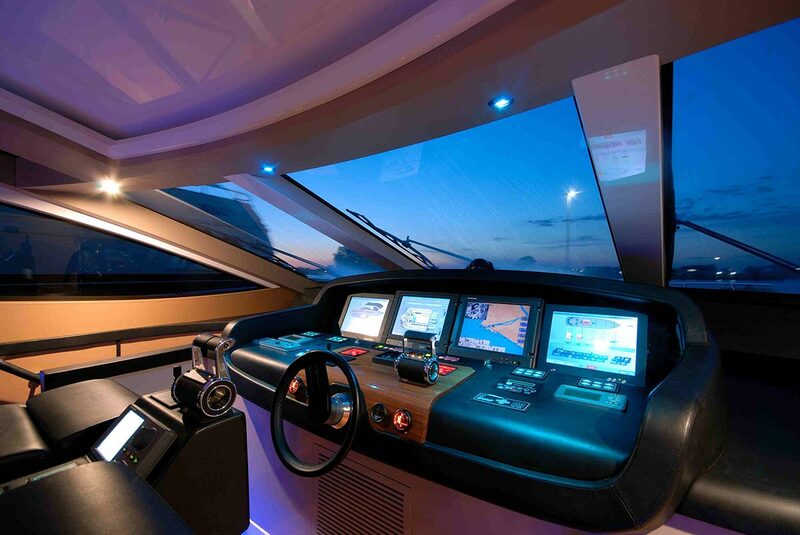 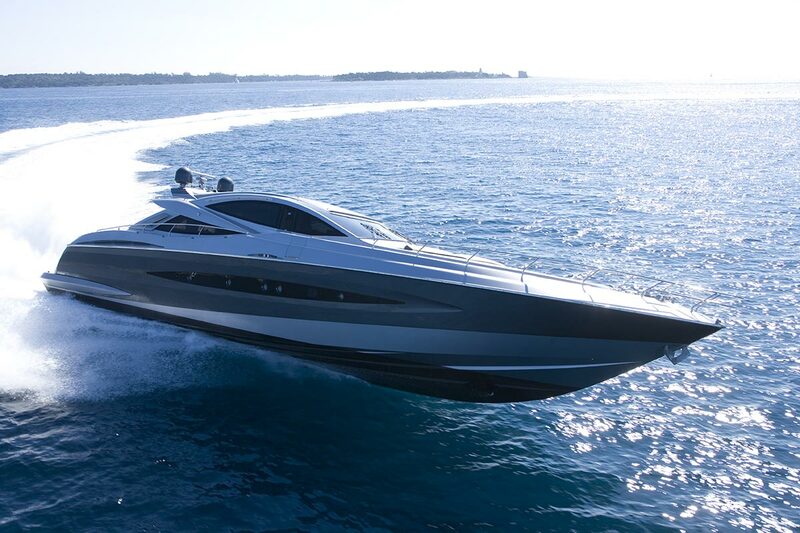 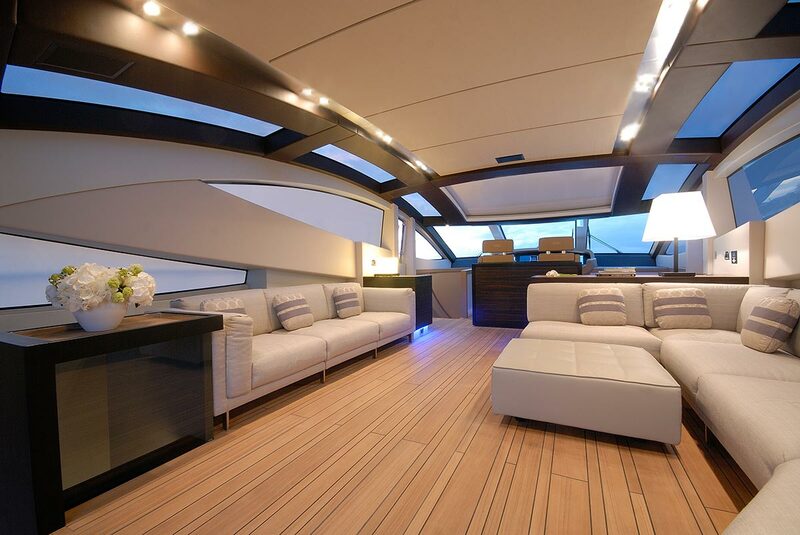 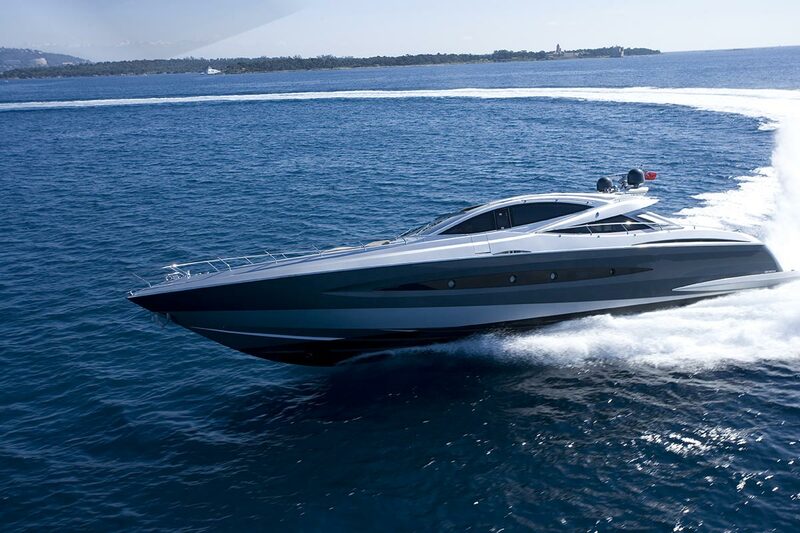 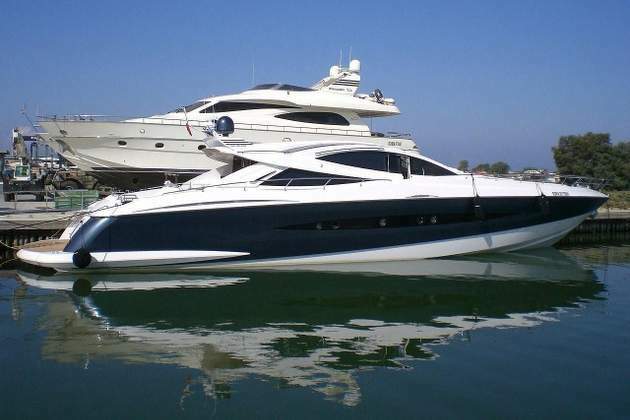 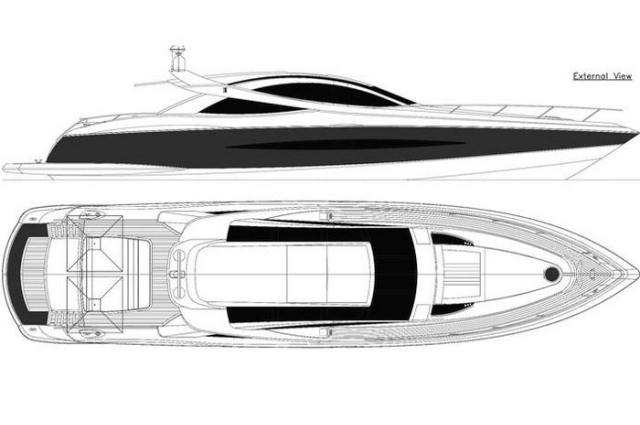 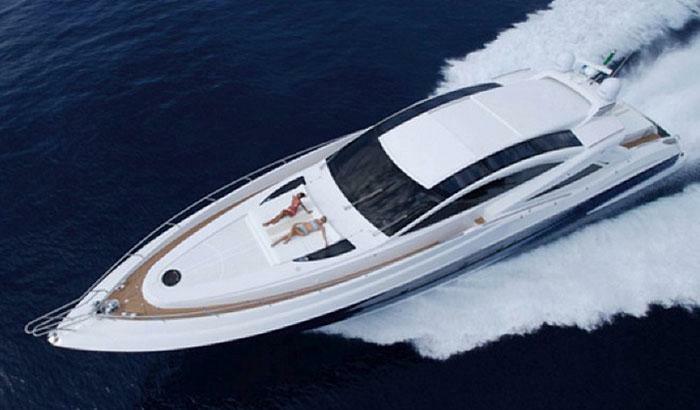 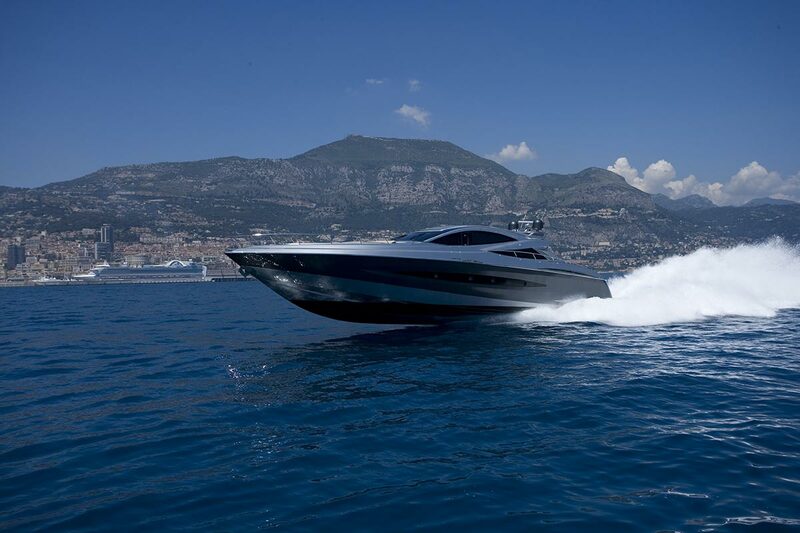 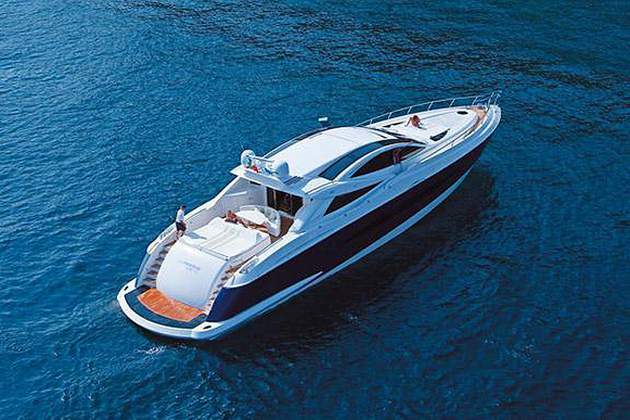 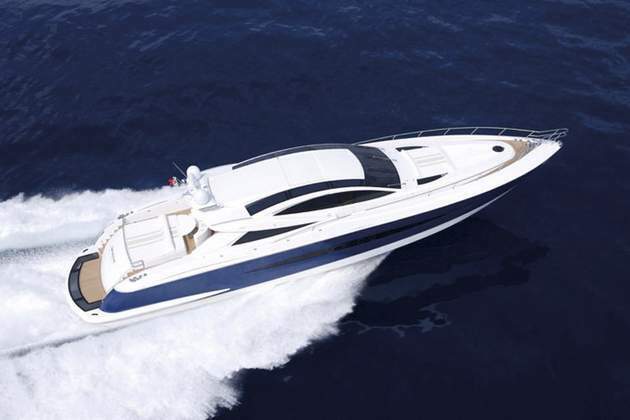 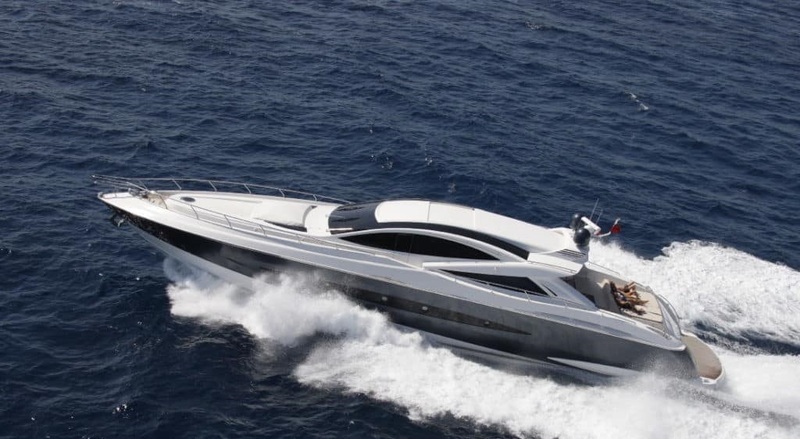 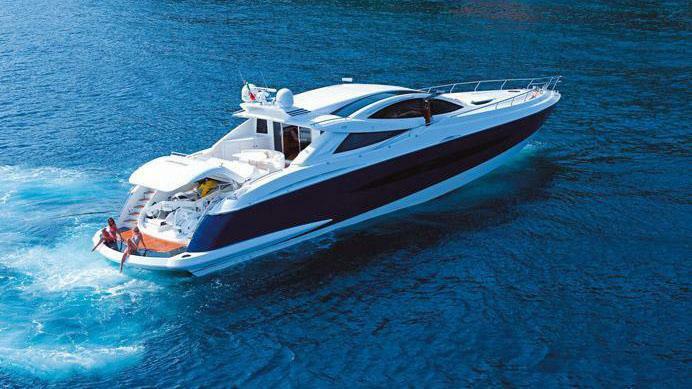 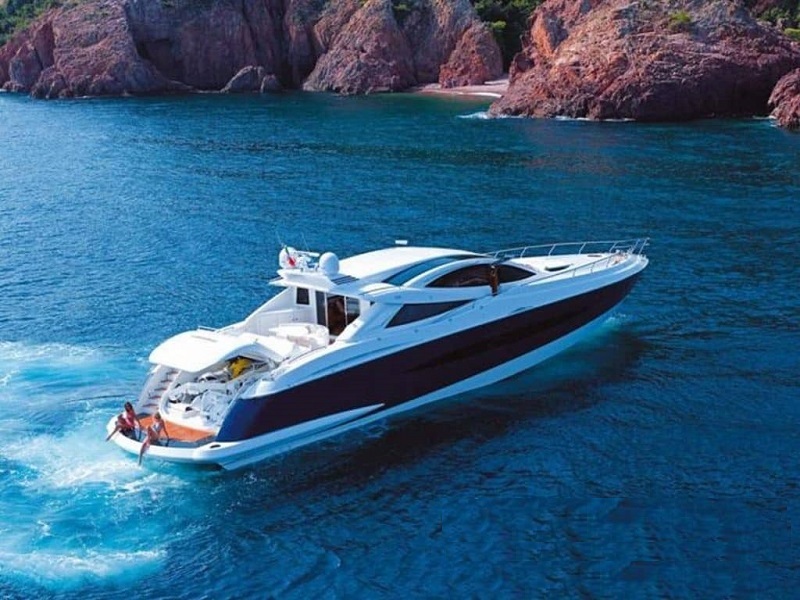 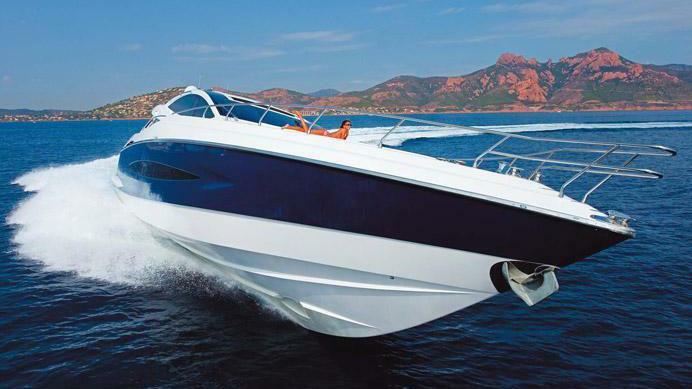 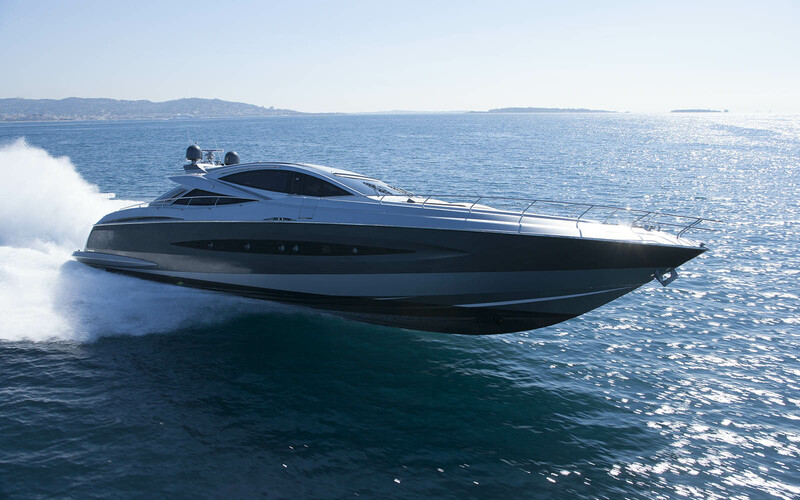 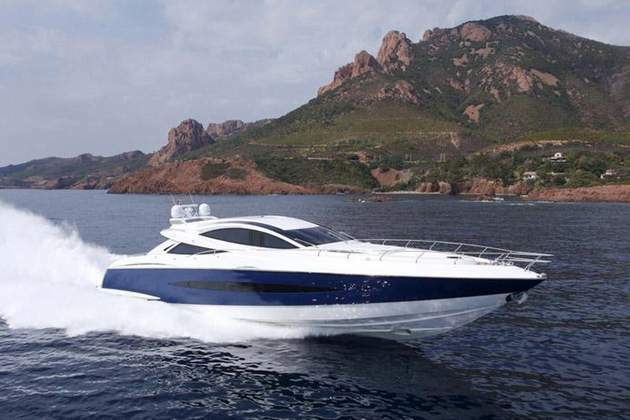 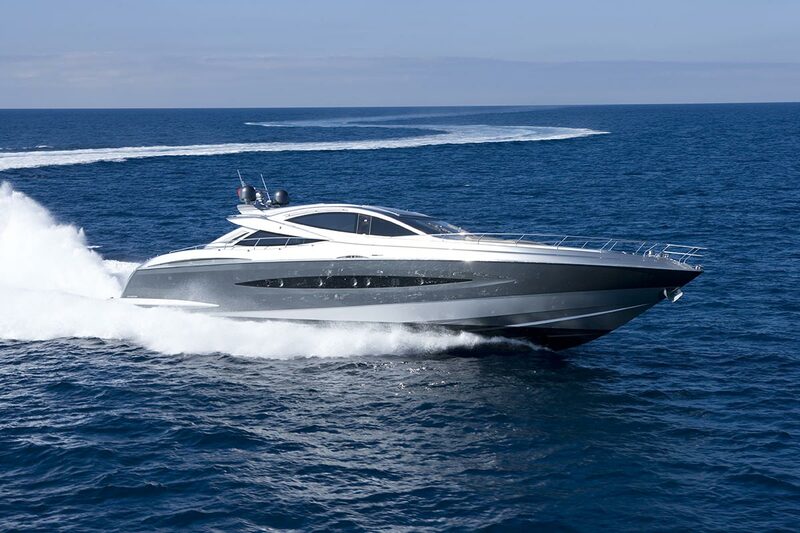 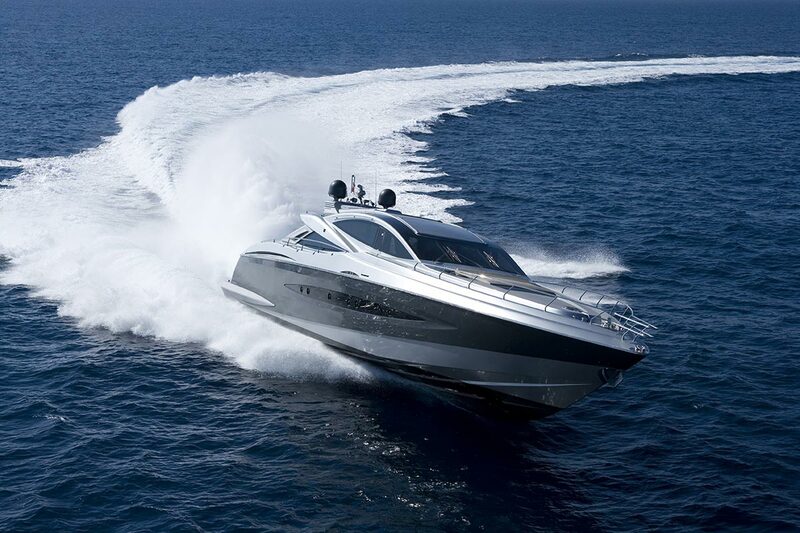 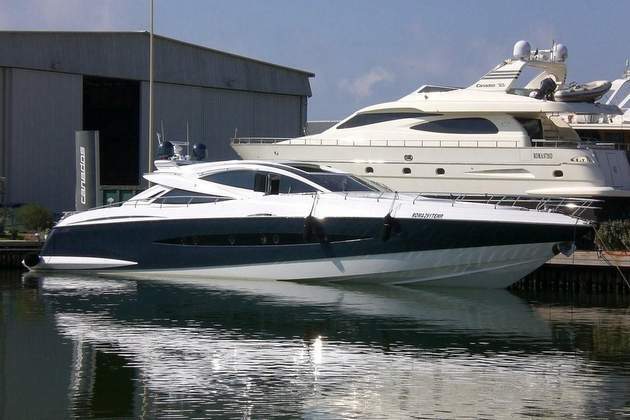 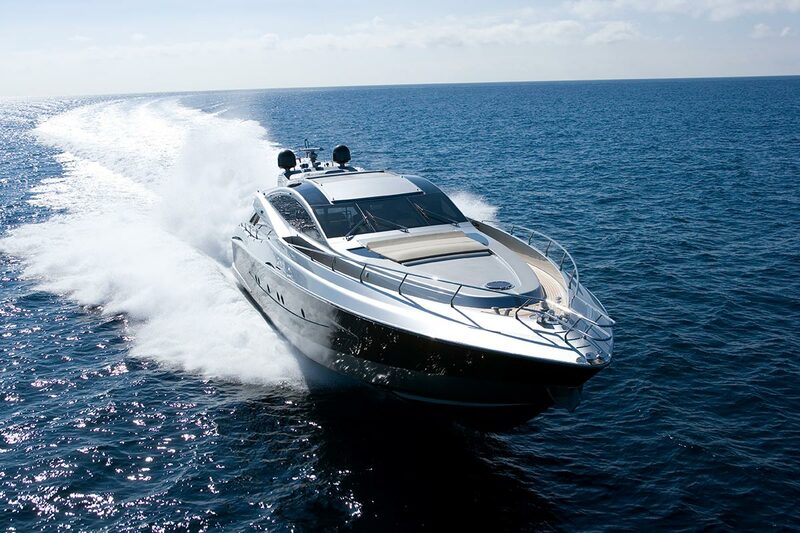 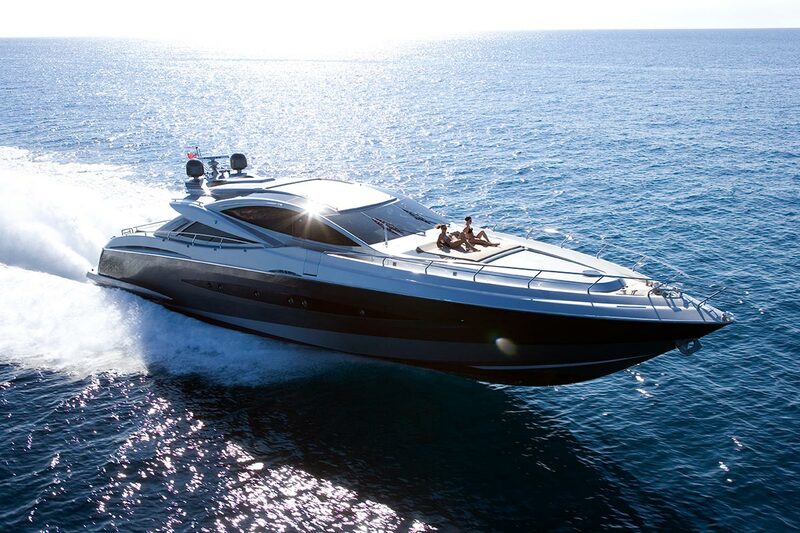 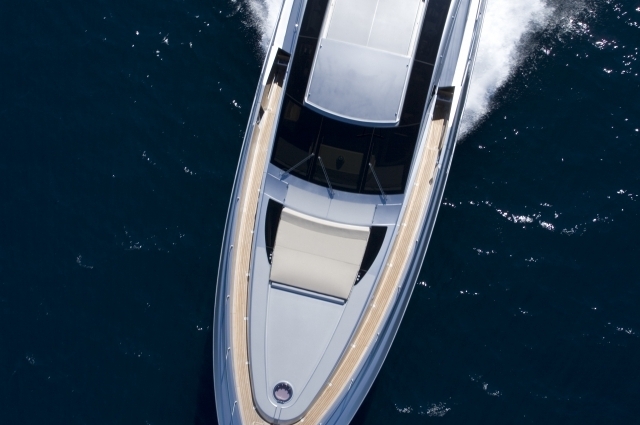 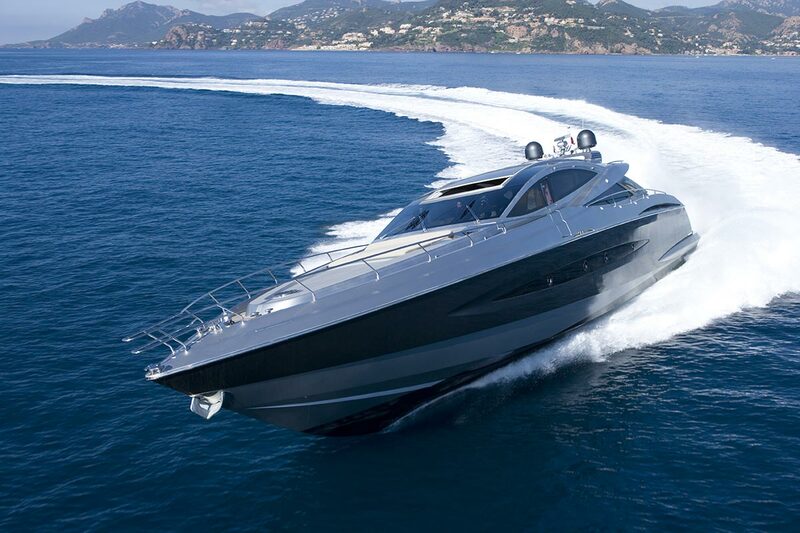 This open style yacht is capable of impressive speeds (42 knots cruising) and she is also capable of turning heads. 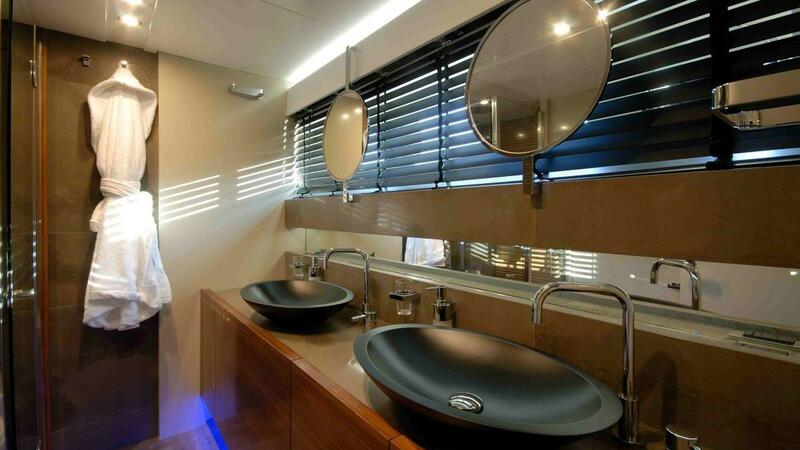 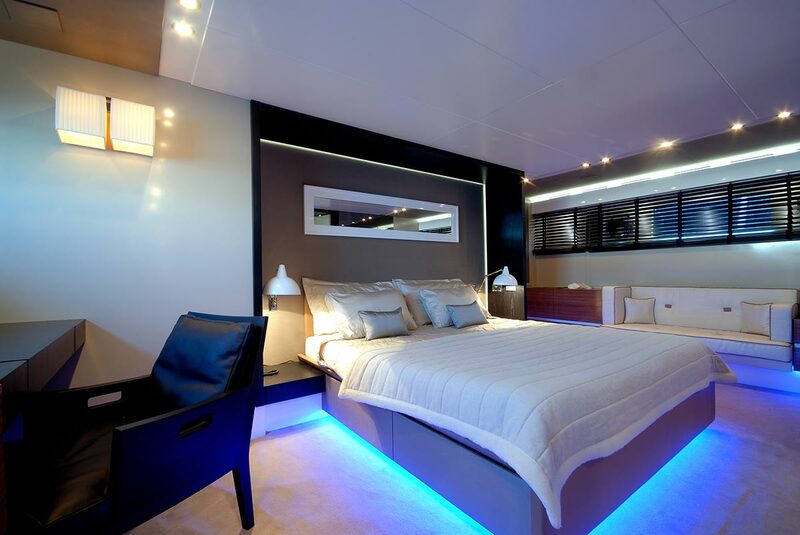 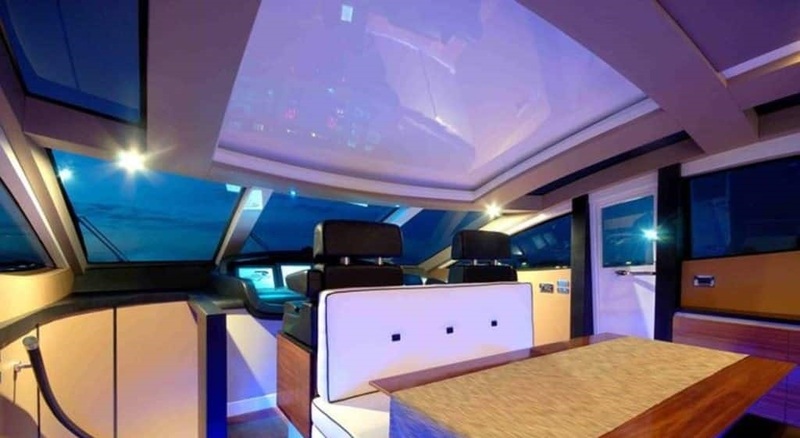 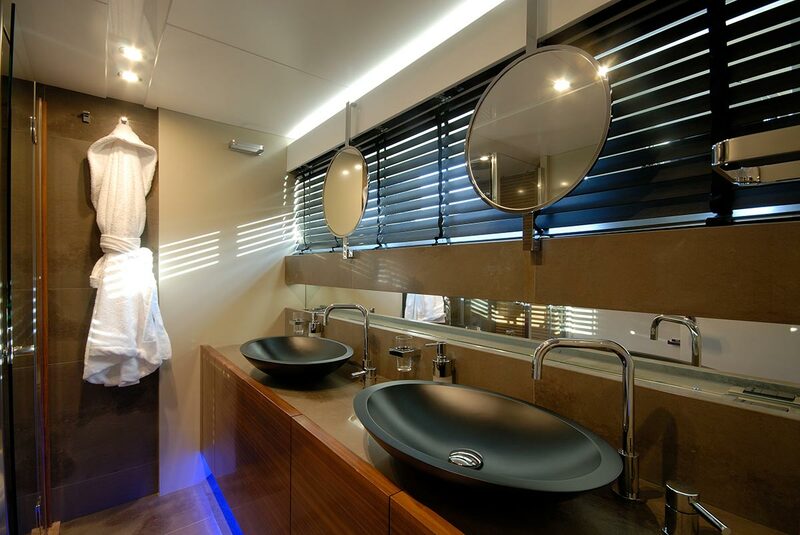 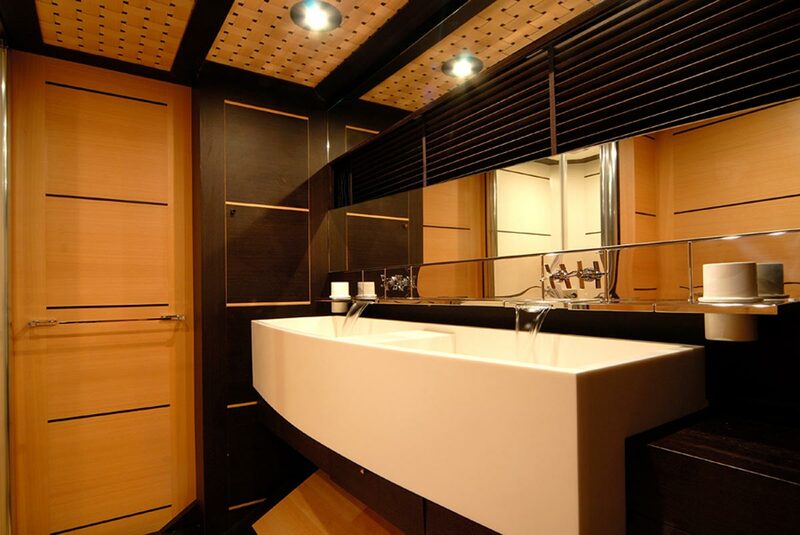 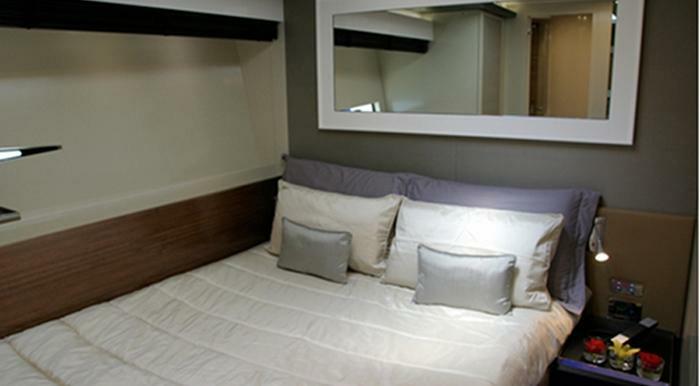 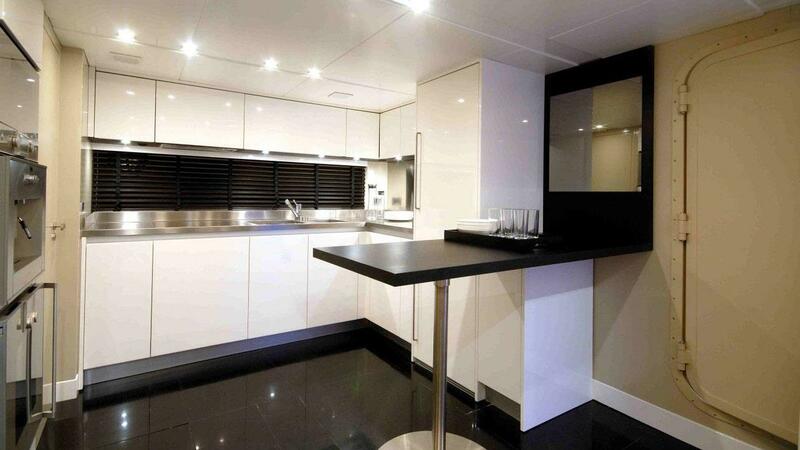 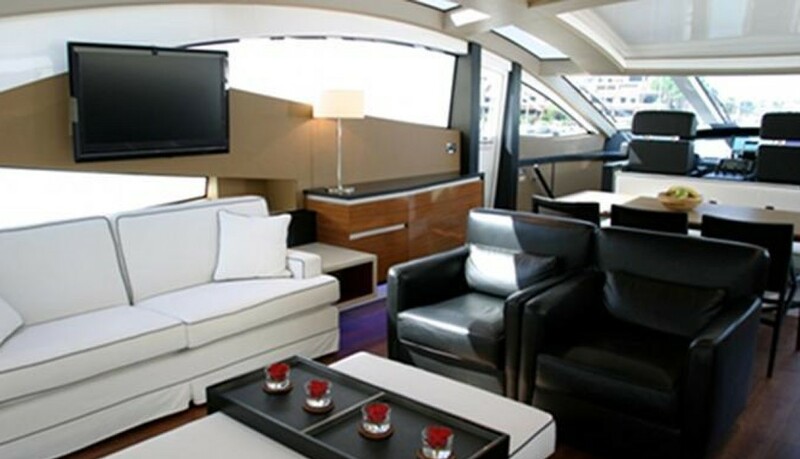 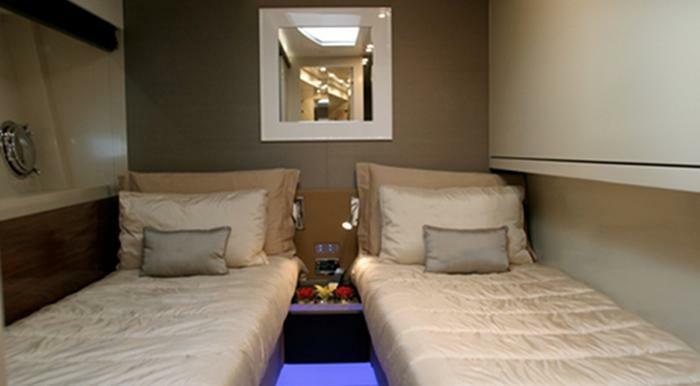 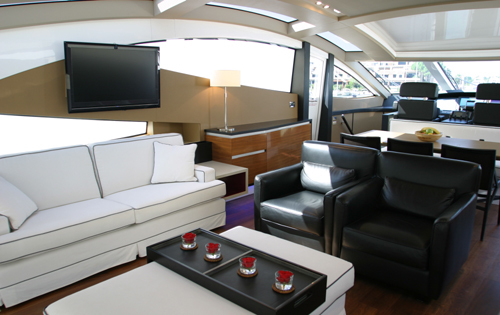 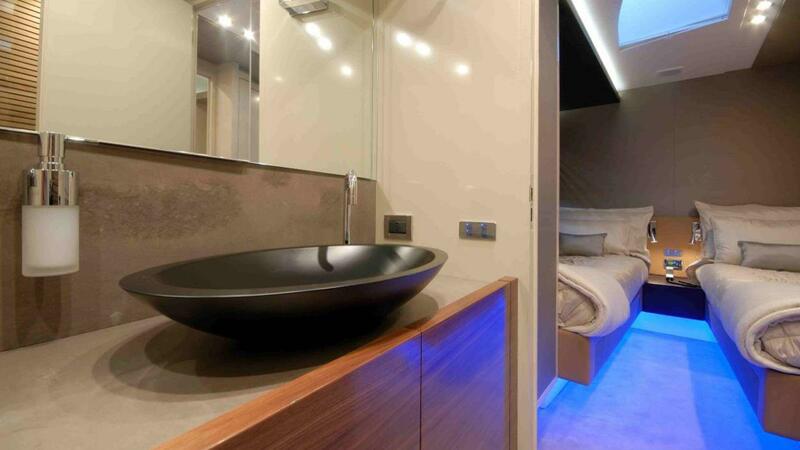 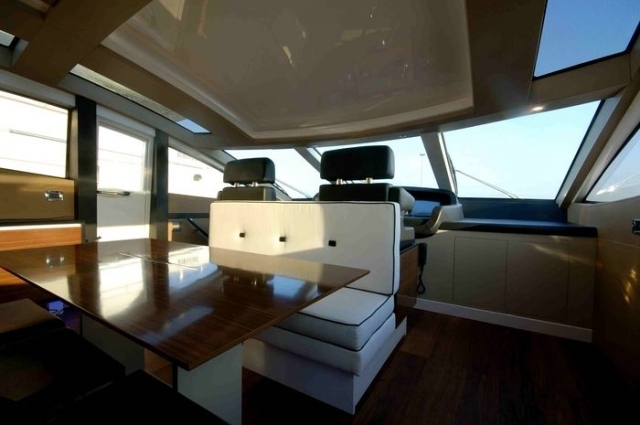 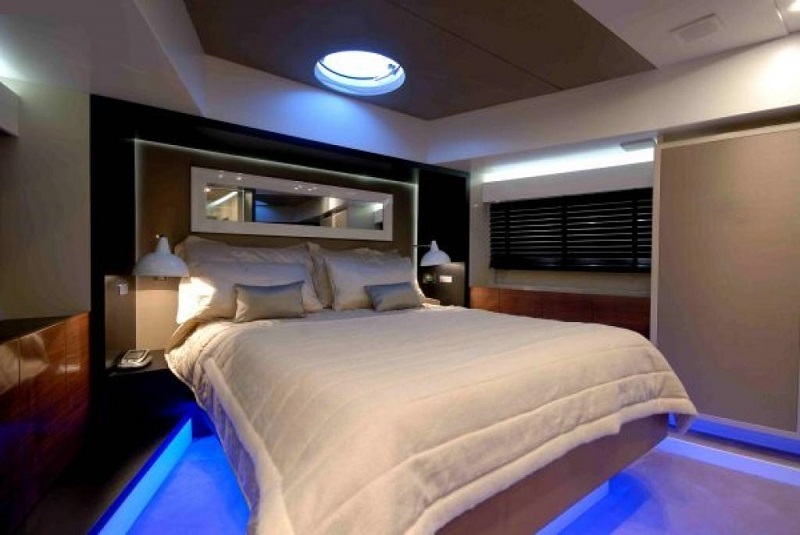 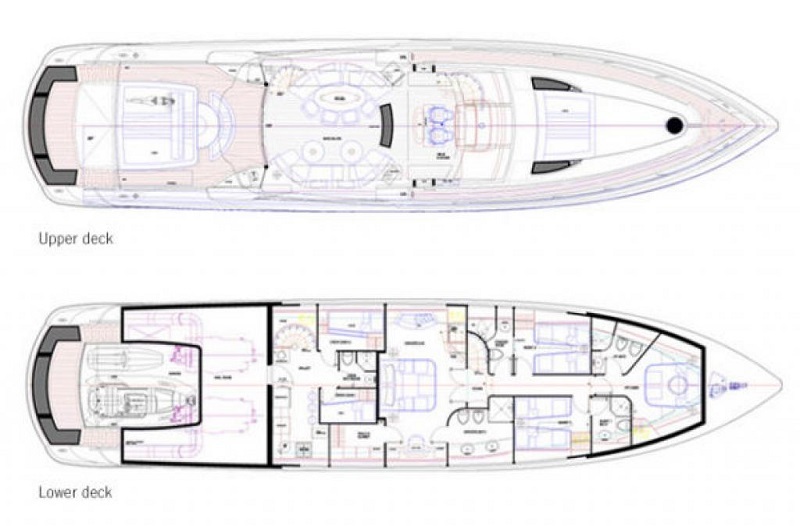 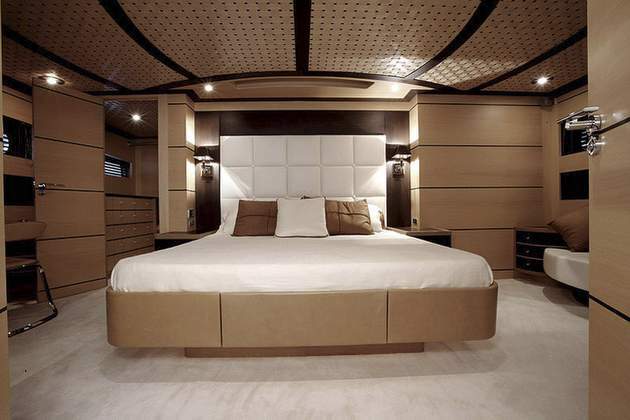 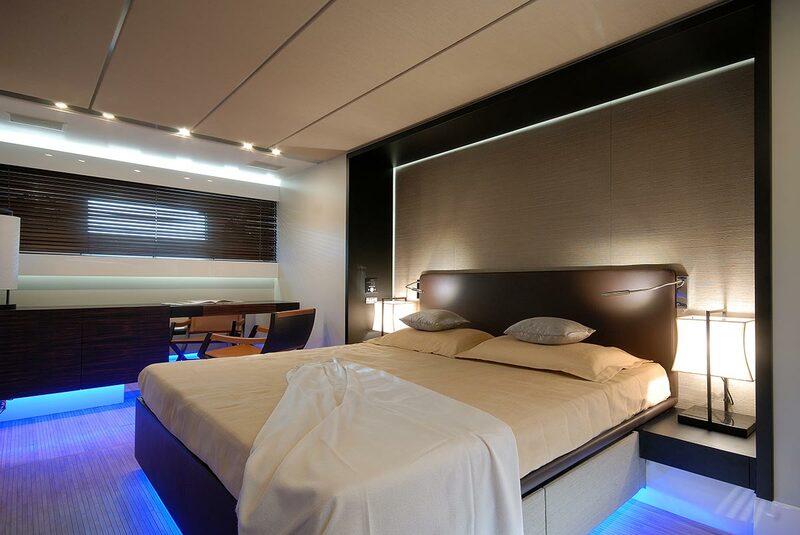 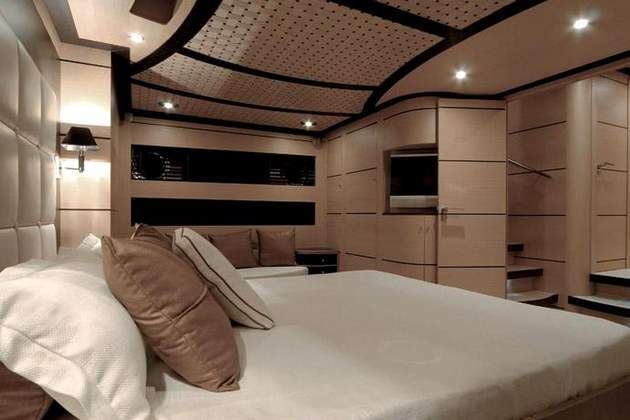 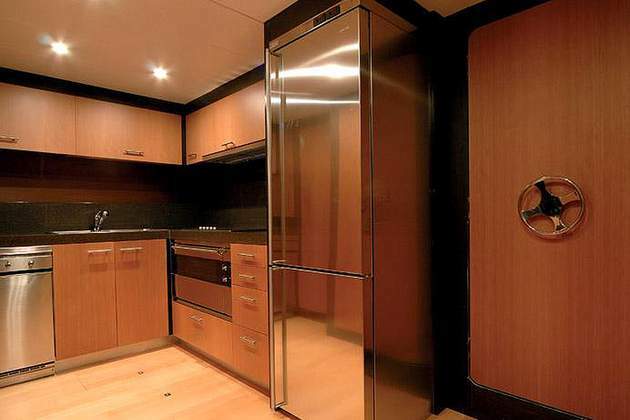 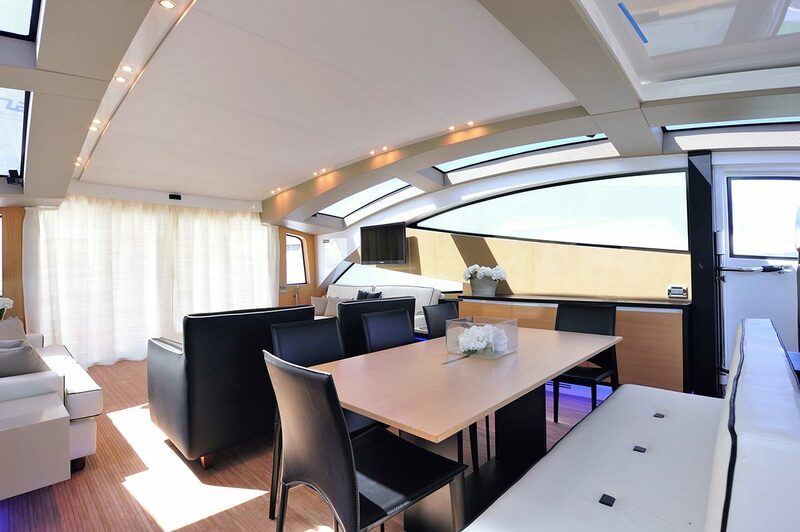 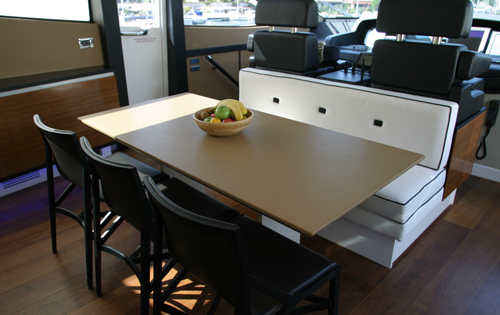 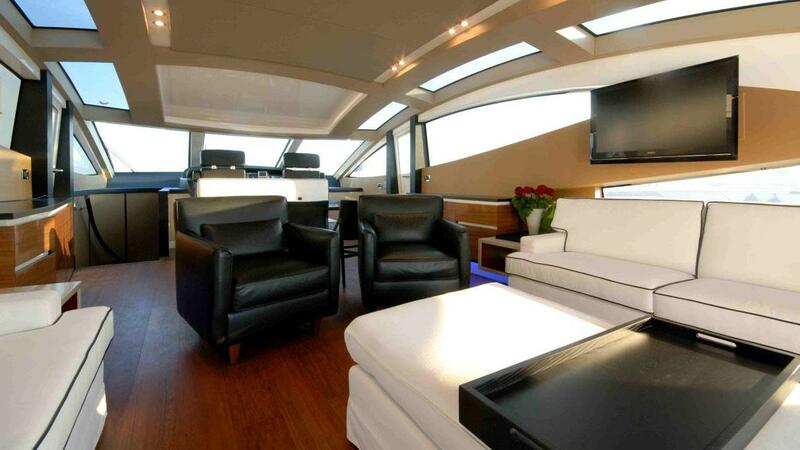 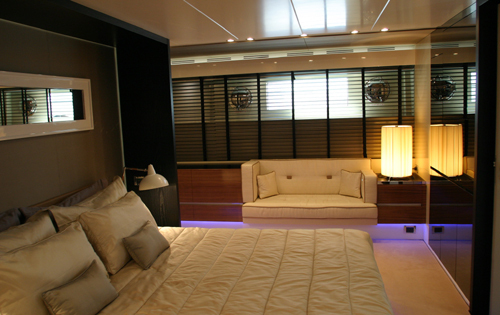 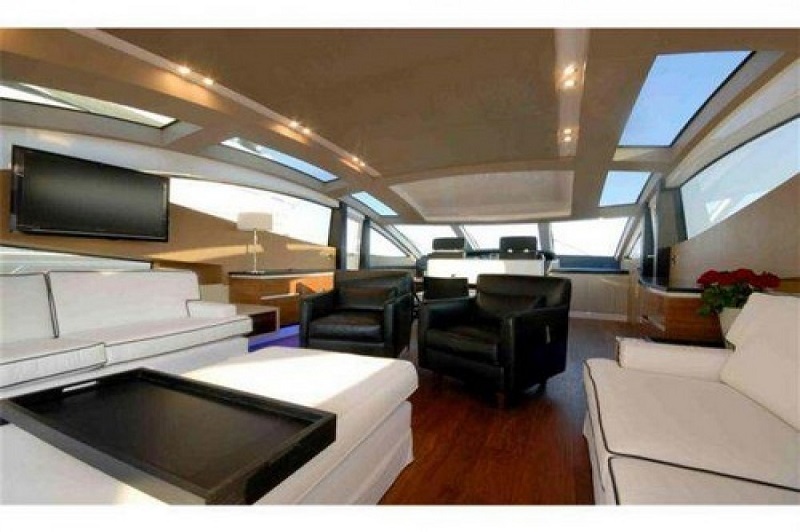 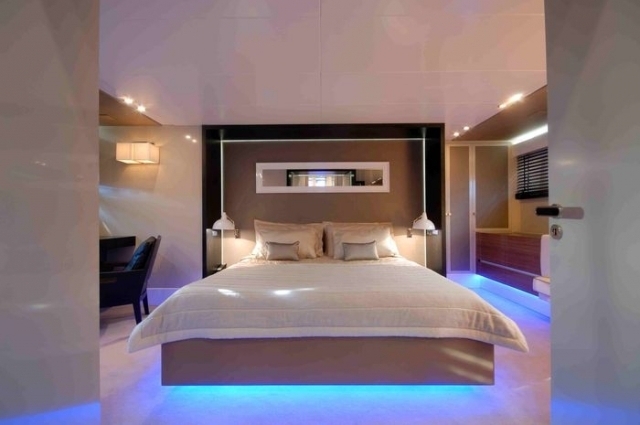 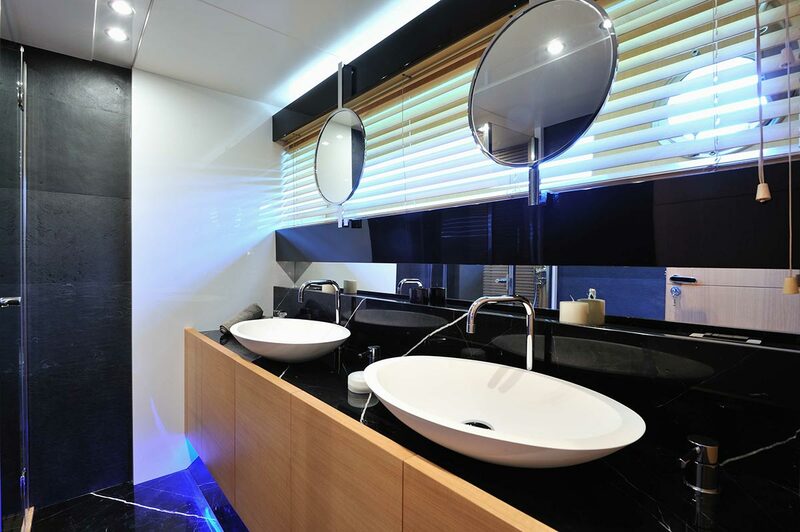 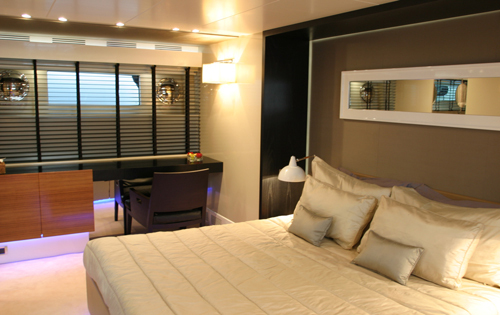 She can accommodate up to 9 guests in 4 cabins. 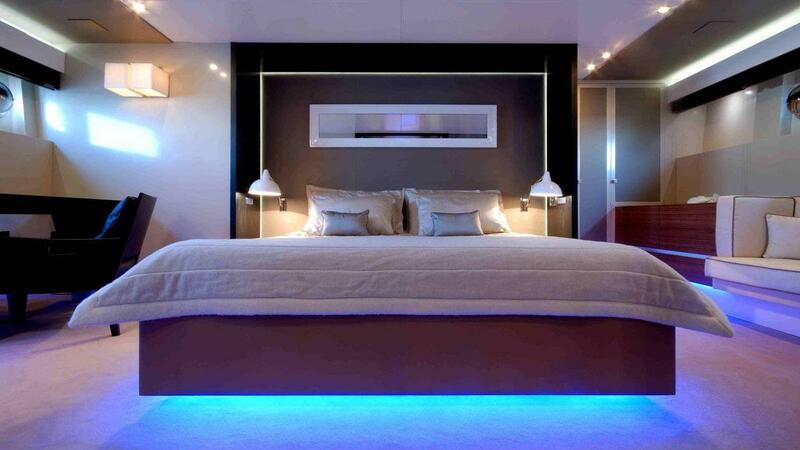 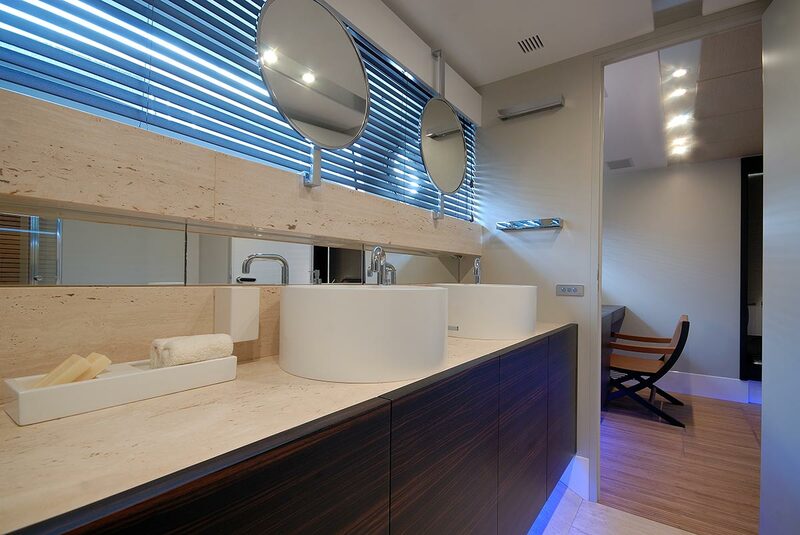 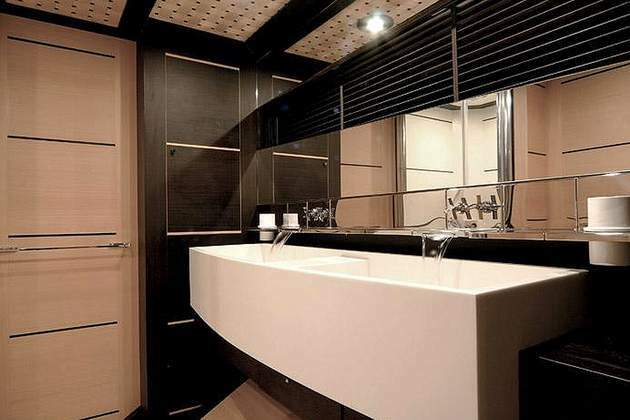 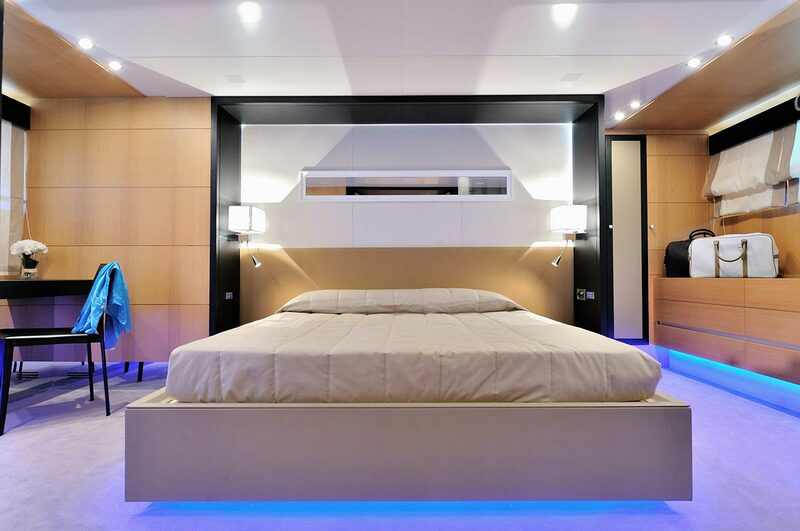 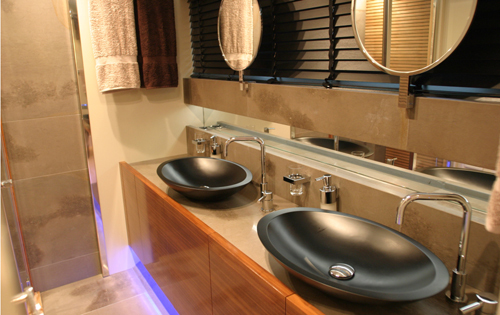 FUNKY TOWN has a modern minimalistic interior that is spacious and light. 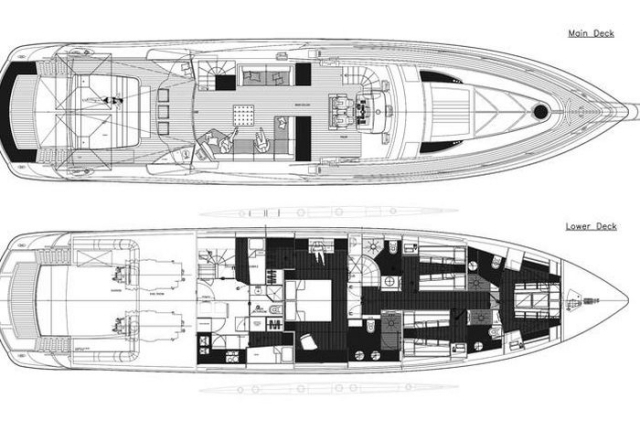 The salon features a unique arched aerodynamic ceiling, dark wood floors bring an old world charm, while crisp white and black leather soft furnishings create the modern feel; plenty of natural sunlight flows in through skylights, windows and the aft door leading to the large aft deck. 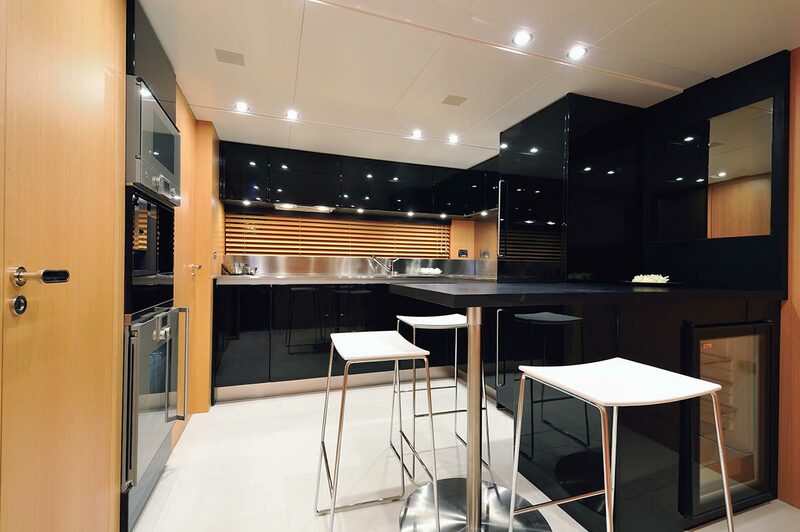 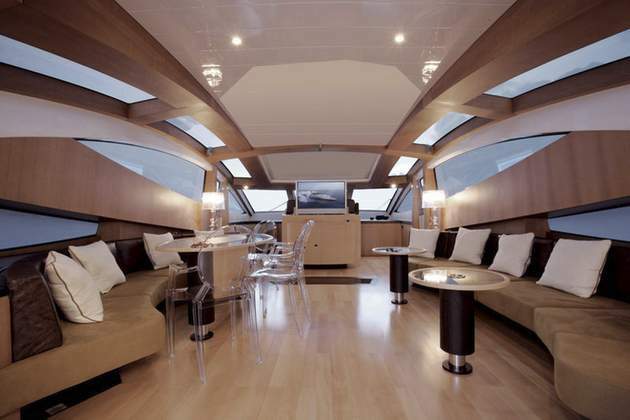 An open plan layout offers the formal dining space forward of the salon, doors on either side meet with the side deck and allow fresh breeze through. 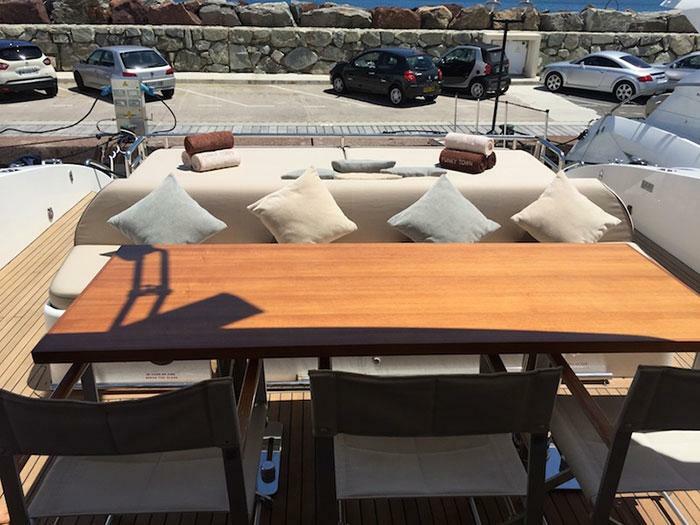 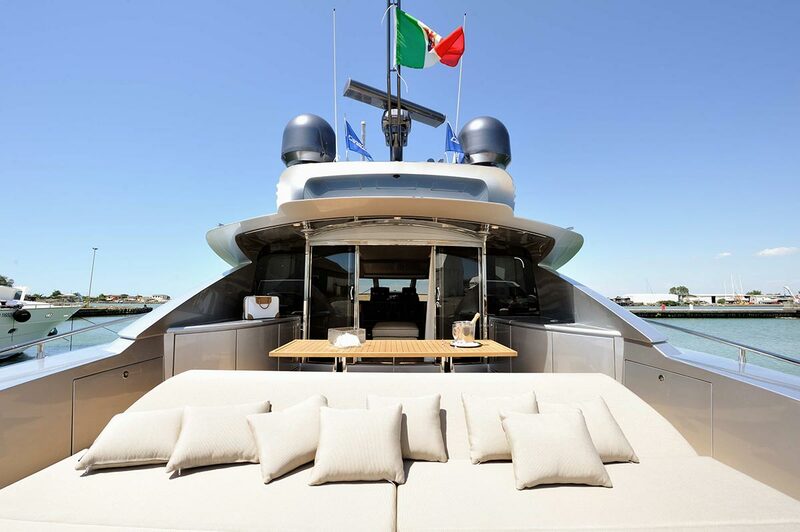 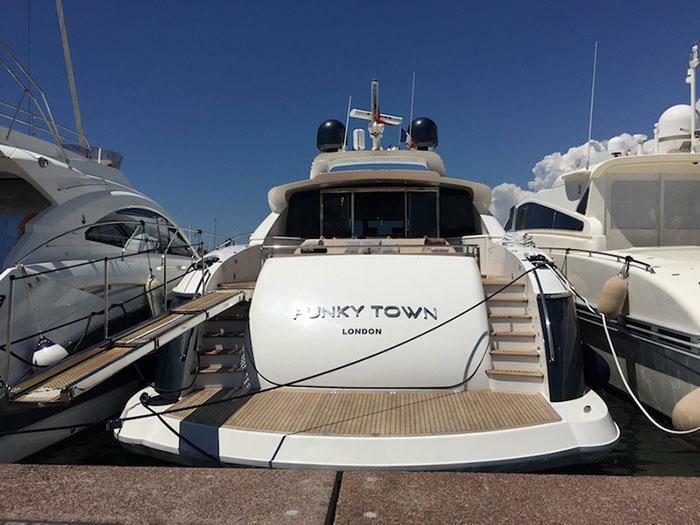 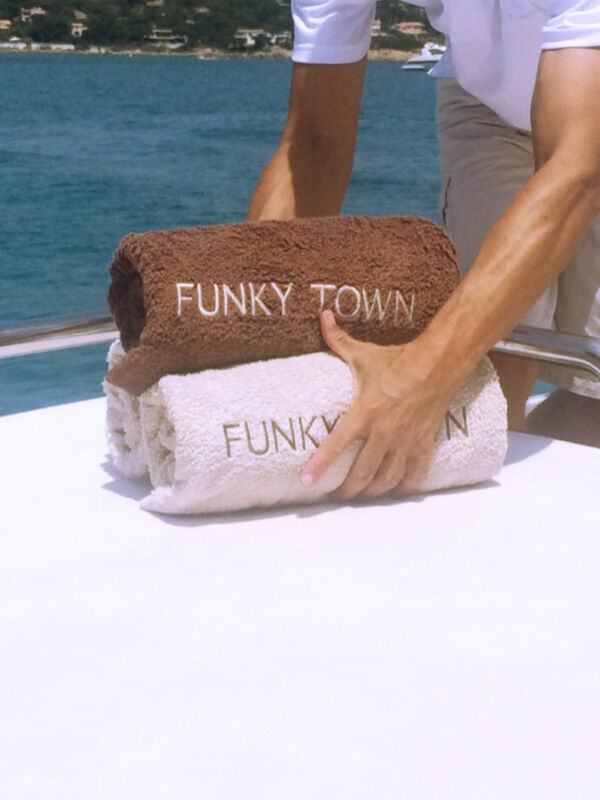 Enjoying the outdoors is easy on M/Y FUNKY TOWN’s lovely teak decks, the aft deck which is adjacent to the main salon offers an alfresco dining option, double sunpad and fabulous extended swim platform to make the most of the warm azure seas. 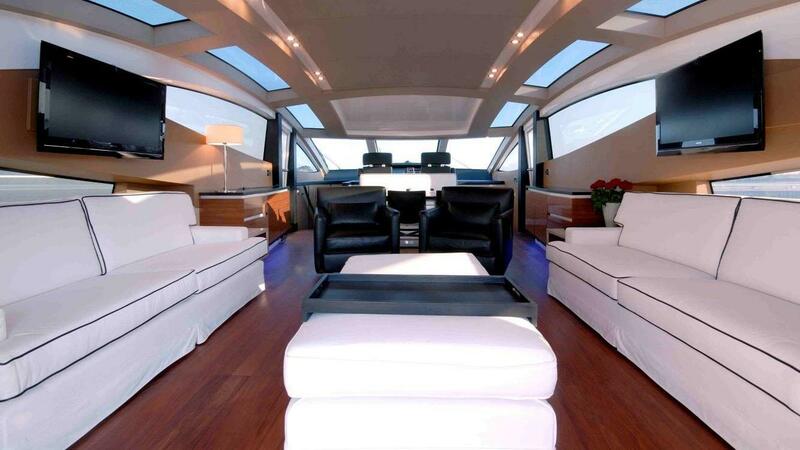 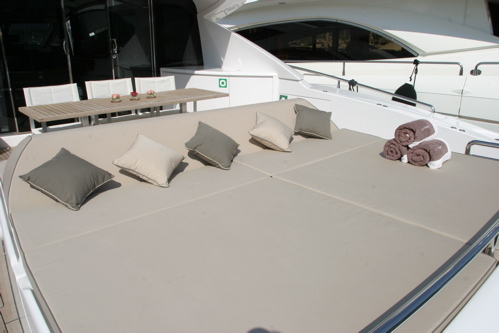 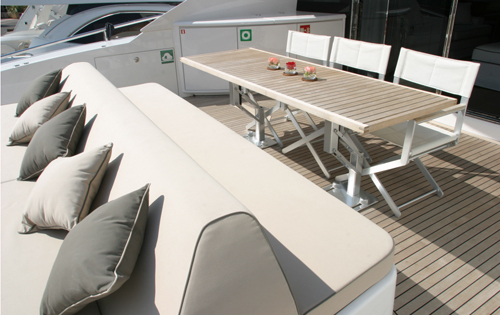 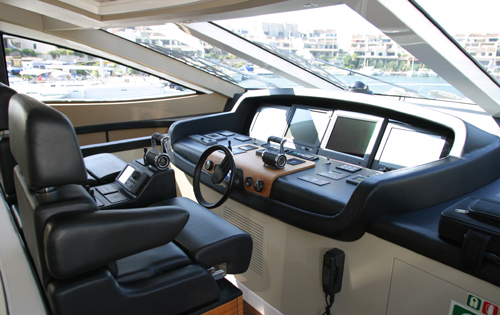 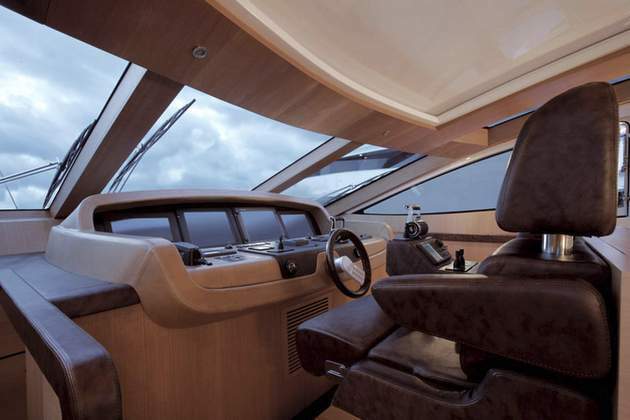 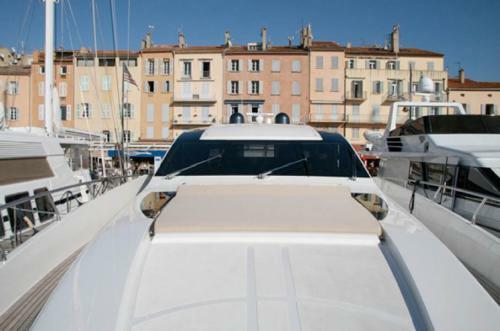 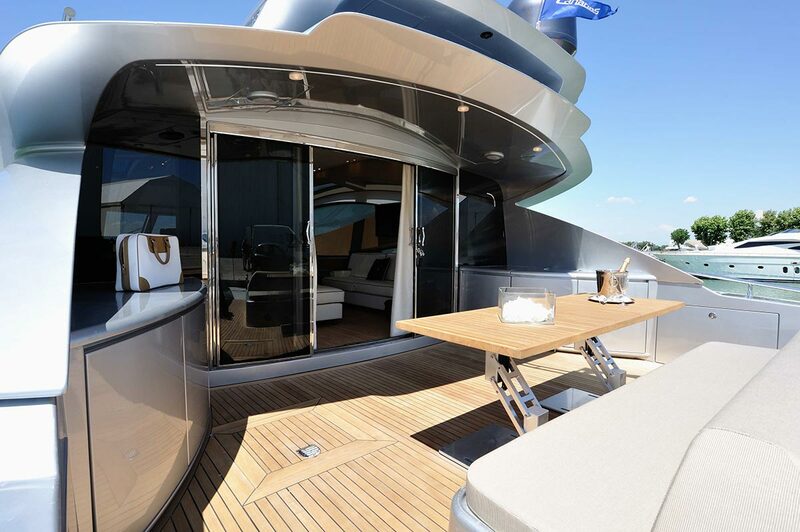 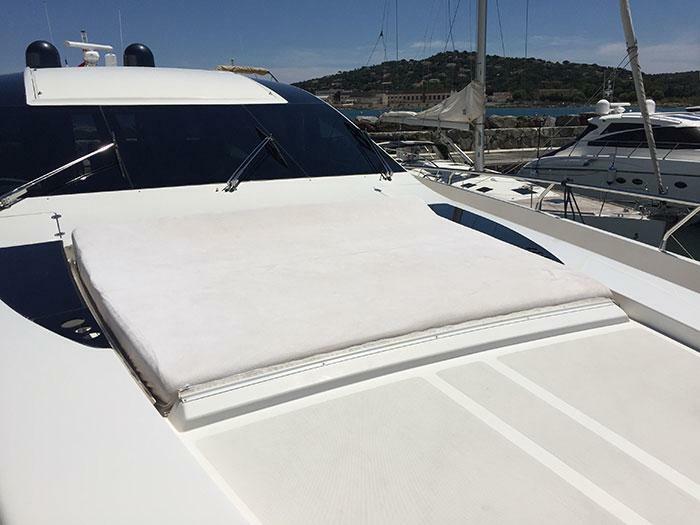 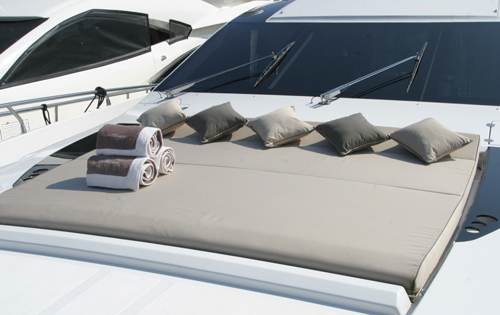 There are also large sunpads on the foredeck. 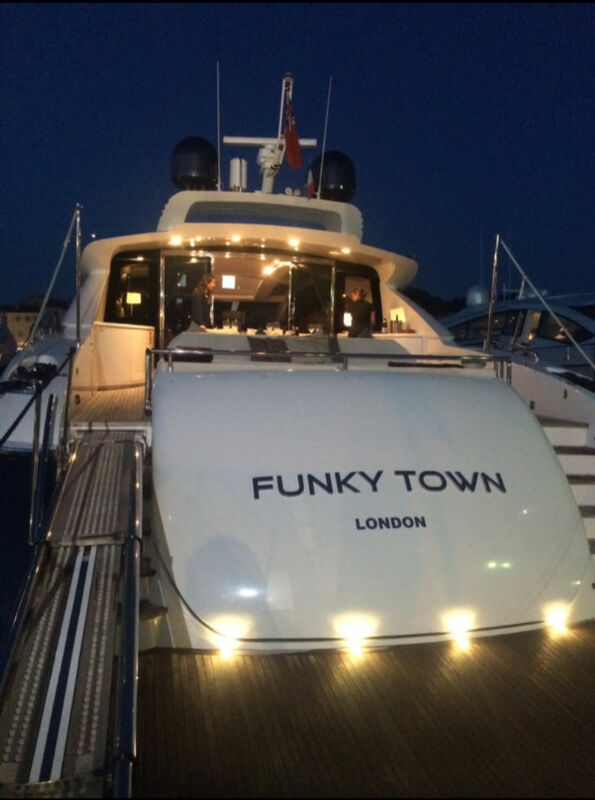 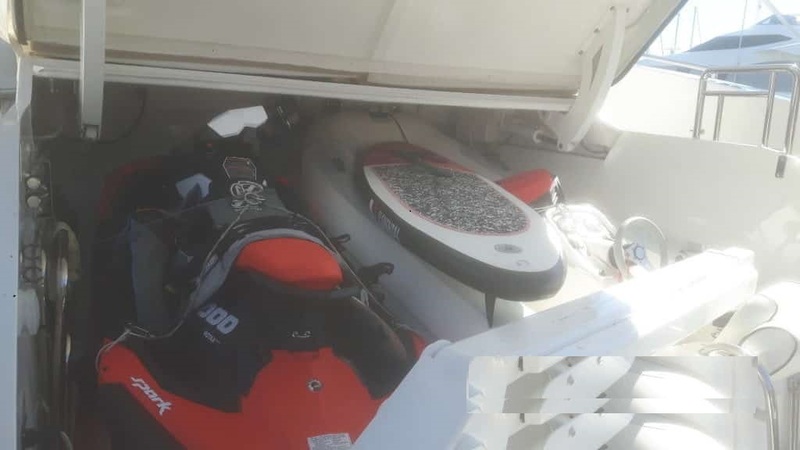 FUNKY TOWN has a beam of 6.3 Meters (20.7Ft) and a shallow draft of 1.4 Meters (4.6Ft) allowing for optimum planing speeds, the shallow draft also offers access to many places others cannot reach. 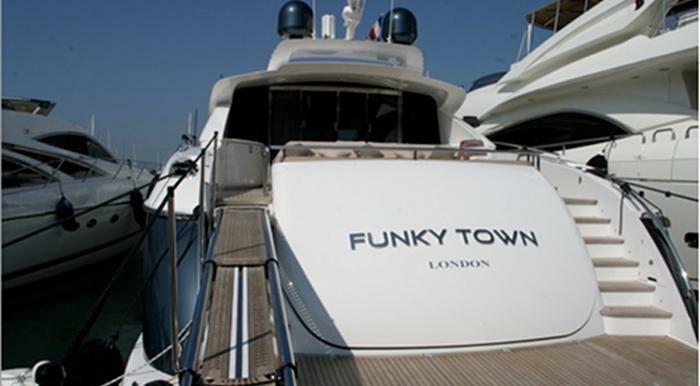 Below decks FUNKY TOWN can accommodate up to 9 guests in 4 stylish spa like cabins, the master suite is full beam of the yacht with a walk around queen size bed with vanity and love seat and en-suite facilities, 2 VIP cabins have double beds with en-suite facilities and a further cabin offers 2 single beds and a Pullman berth and en-suite facilities. 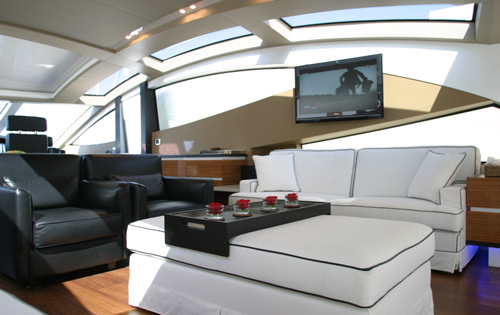 Each cabin has its own TV/DVD and stereo system.